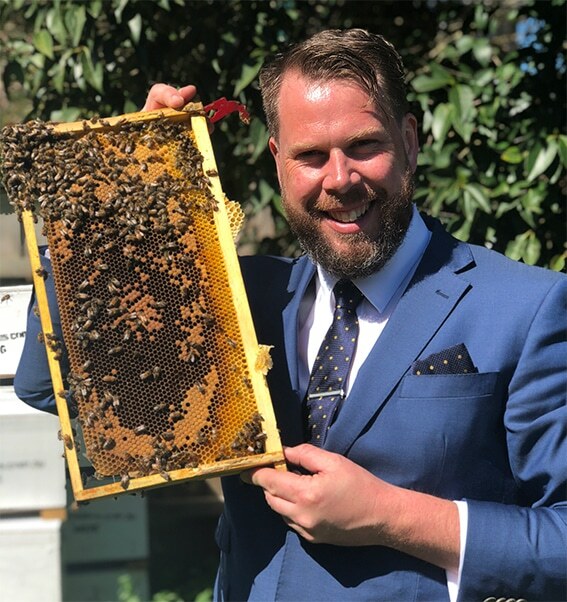 The 2nd Victorian Beekeeping Conference has been convened by a Steering Committee that consists of beekeepers from rural, regional and metropolitan Victoria. The aim of the Conference is to connect with hobbyist, recreational, sideline and commercial beekeepers from across Victoria. Conference delegates will hear from informative and inspiring presenters including researchers, educators, entrepreneurs, biosecurity specialists, innovators and authors. 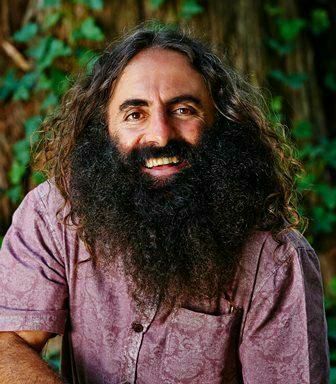 We have pleasure in welcoming eco-visionary, landscape architect and ABC Gardening Australia’s host Costa Georgiadis as our MC and speaker for the 2019 Victorian Beekeeping Club Conference. Costa’s charm, charisma and passion make him an appealing event host. Costa is engaging and highly entertaining and is sure to give the Conference a green edge. Secured Speakers – more to be announced! Dr Paulo de Souza is leading research on micro-sensor technologies and systems. A physicist and miniaturisation expert, Dr de Souza is recognised internationally in field robotics, geochemistry and environmental engineering. Paulo is a collaborating scientist on NASA’s Mars Exploration Rover mission, which landed and operates two large robots, Spirit and Opportunity, on the surface of Mars. Hilary Kearney is the author of QueenSpotting and the creator of Girl Next Door Honey, a beekeeping business that offers educational opportunities to hundreds of new beekeepers each year. She maintains the blog “Beekeeping Like A Girl” and her writing on bees has appeared in Modern Farmer and Gritmagazines. Her work has been the subject of features in Huffington Post, Vogue, Mother Earth News, and other outlets. She rescues wild bee colonies and manages around 90 hives in her hometown of San Diego, California. Ben Oldroyd is Professor of Behavioural Genetics at the University of Sydney. Ben completed a BSc (Agr) in 1980, PhD at the University of Sydney in 1984 and a Doctor of Science in 2005. Ben’s research focuses on the behavioural genetics of honey bees, the evolution of social behavior and evolution more broadly. Ben is also heavily involved with the Australian beekeeping industry, including helping beekeepers breed better, healthier strains. Ben has made important contributions to understanding the genetic basis of worker sterility in honey bees. Ben has authored nearly 300 scientific papers on bees and social insects. 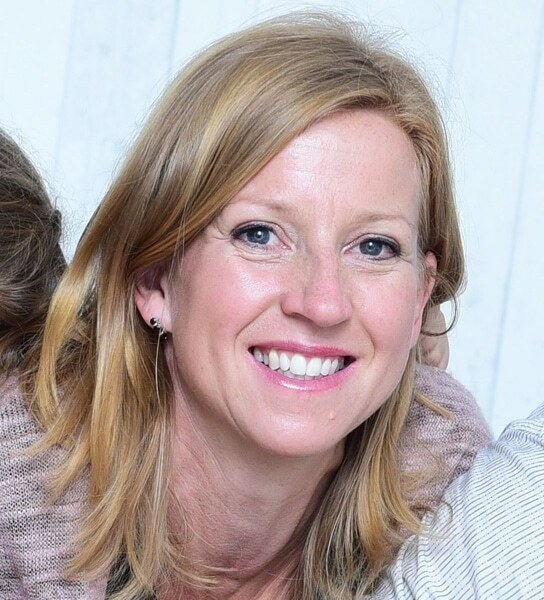 Dr Amy-Marie Gilpin is an ecologist with research interests in pollination ecology, global change biology, behavioural ecology, invasion ecology and agroecology. 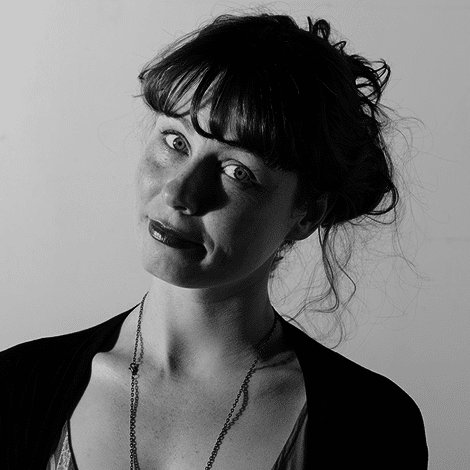 Amy-Marie is particularly interested in both pure and applied ecology and employs a variety of techniques such as large scale manipulative field experiments as well as manipulative glasshouse and growth cabinet experiments to study interactions between plant-pollinators and anthropogenic change. 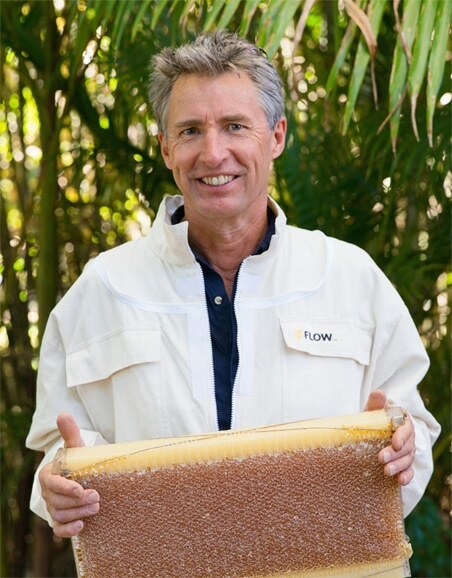 Stuart Anderson invented the Flow Hive system in Byron Bay, New South Wales with his son Cedar Anderson. In February 2015, they launched a campaign on crowdfunding platform Indiegogo hoping to raise $70000. Instead, they raised over $12 million and received nearly 25,000 orders from over 130 countries. The campaign broke several records for Indiegogo, becoming its most successful campaign. The invention took out a 2016 Australian Good Design Award. Dr Julia Grassl has more than 10 years of hands-on experience in proteomics and mass spectrometry including sample preparation and the challenges associated with the sample types from various organisms. She has worked on a variety of research projects covering social insects (Honey bees and ants), plants, yeast, human and animal serum and tissues. Dr Grassl has worked with the Center of Integrative Bee Research (CIBER) and as a postdoctoral researcher at the ARC Centre of Excellence in Plant Energy Biology at UWA for more than 7 years. Dr Grassl advanced existing research projects on Nosema apis infection of drones and workers, with special emphasis on Honey bee immunity in worker bees and leaf cutter ants. In 2014 Dr Grassl joined CIBER full time to undertake an ARC Linkage project to study Nosema apis and supervise a number of students and their projects. 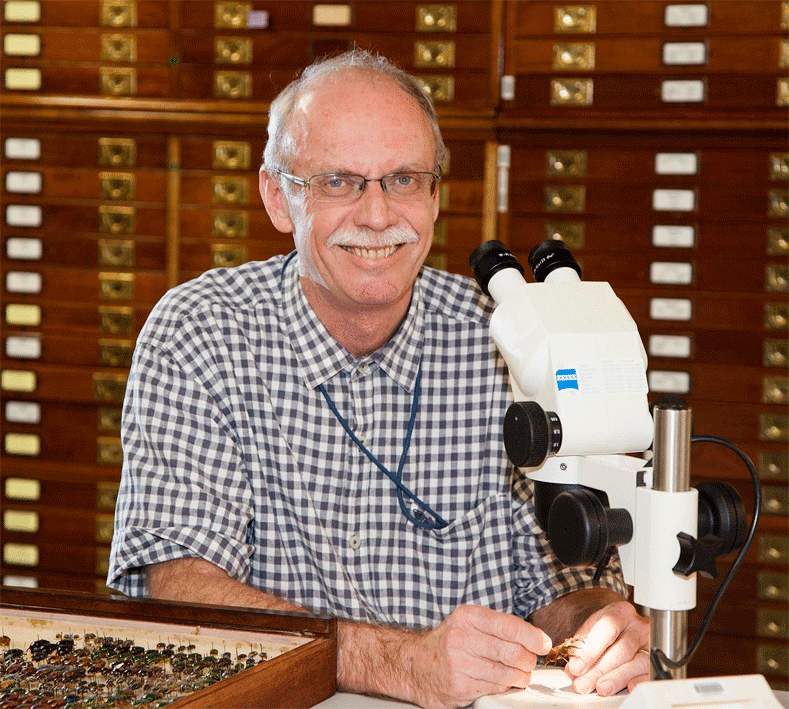 Dr Ken Walker has been the curator of entomology at Museum Victoria now for over 32 years. His research topic is the study of native Australian bees and has described several hundred new species and revised groups – particularly in the Halictinae and within the subgenera of Lasioglossum and Homalictus. Being a museum curator, Dr Walker’s other passion is making museum specimen information more accessible to the scientific and general public (now called Citizen Science). He has also created several significant website resources: Bioinformatics, Pests and Diseases Image Library (PaDIL) and BowerBird, being Australia’s first social science website dedicated to Citizen Science. Dr Nural Cokcetin is a research scientist specialising in microbiology at the ithree institute, University of Technology Sydney. Her research focuses on the medicinal properties of honey. Currently, Nural is investigating the antimicrobial properties of honey, with a drive to use this knowledge to promote the use of honey as a topical treatment for skin infections and wounds, and to develop new treatments for infections caused by superbugs that are resistant to antibiotics. 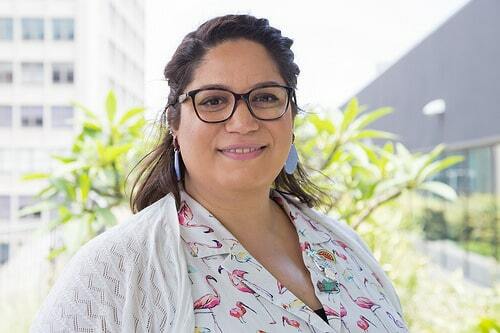 Nural is equally passionate about doing research that has direct positive impacts for society, as she is about communicating her research to as broad an audience as possible. Madeleine Beekman is a professor in Behavioural Ecology at the University of Sydney. Madeleine has always been fascinated by insects in general and social insects in particular. Madeleine completed her PhD at the University of Amsterdam on bumblebees. After finishing her PhD in 1998, she moved to the University of Sheffield, where she worked both on honeybees and ants, a ‘tradition’ she maintained after her move to the University of Sydney in 2001. Currently Madeleine’s main honeybee research interests are conflict and cooperation in honeybee colonies and the evolution of virulence of honeybee RNA viruses. Dr Kymble Spriggs is a Consultant Physician, Specialist Allergist & Immunologist and a Clinical Associate Professor at the University of Melbourne. Kymble offers an extensive background in the management of allergic & other immunological diseases, and is especially interested in hayfever, and bee venom immunotherapy, as well as the diagnosis & management of food allergy. Based in Adelaide, Vanessa Hoo AKA Mademoiselle Bee is a 2nd generation beekeeper and fervid advocate for bees, whose father is a French commercial apiarist. She rescues our pollinators, by offering a diverse range of services around South Australia, from mentoring and education, to live bee removal, and adoption/sponsorship programs . Ben Moore is an apiarist, environmentalist, father, food-lover and the owner of Ben’s Bees. Exposed to nature and farming from an early age, Ben started Ben’s Bees over ten years ago. 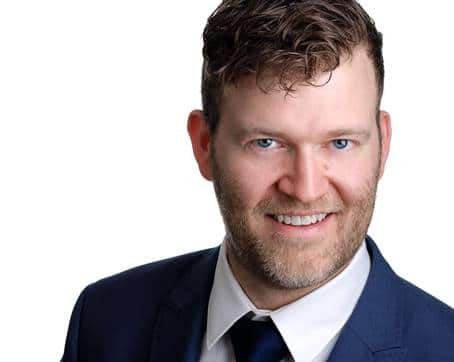 Since then, his company has expanded to include beekeeping, honey production, the safe rehoming of bee colonies, wasp removal, international mentoring, media and education. 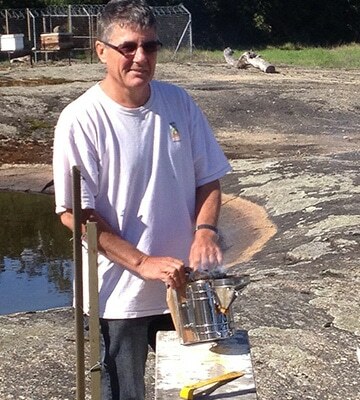 Through these activities, Ben has built a passionate and loyal community of beekeepers from Australia and across the globe. 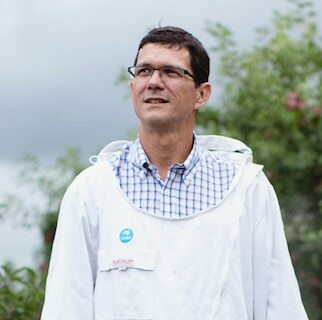 With a focus on ethical and natural beekeeping practices, Ben is committed to educating the community about bees and their vital connection to the environment and our everyday lives. 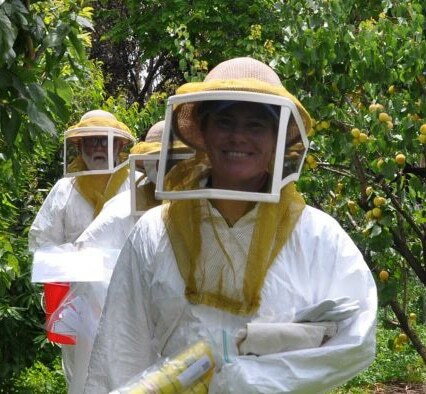 Based in Swan Hill, Jessica Millar is working to reduce the risk of disease entering beehives, by promoting ‘best practice biosecurity’ based on the Biosecurity Manual for Beekeepers, the Biosecurity Code of Practice and the National Bee Biosecurity Program. 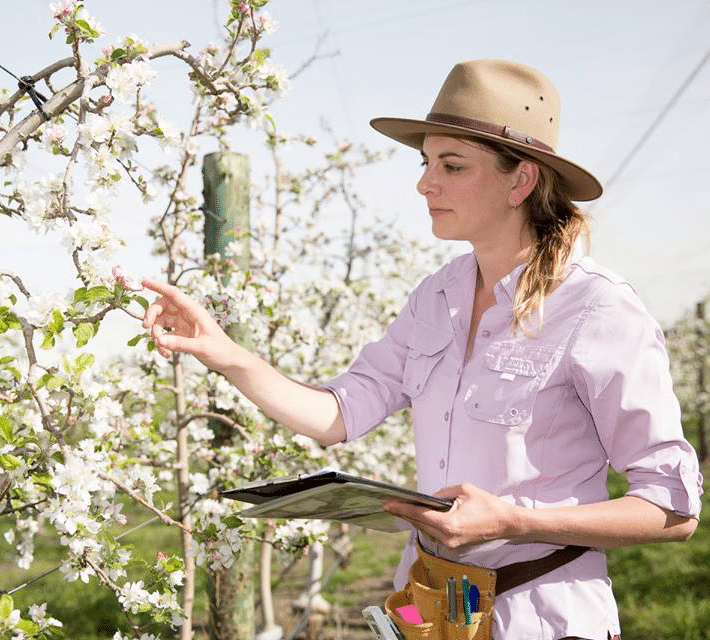 Jessica works closely with Agriculture Victoria’s other apiary inspectors, she monitors and detects endemic pests and disease such as American Foul Brood (AFB) via field surveillance. Corinne’s obsession with bees commenced in South East Queensland 2008 with the founding of The Bee Lady Apiaries. 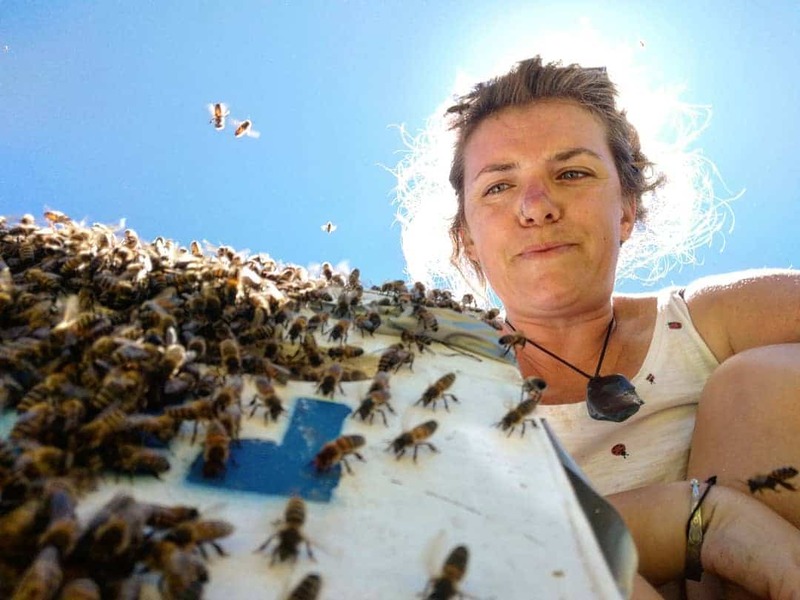 Since 2013 Corinne has been striving to improve Australia’s honey bee stocks by instrumental insemination and continued selection and evaluation. Her key focus is enhancing the productivity, health and vitality of Apis mellifera ligustica commonly known as the Italian or Yellow Queen Bee whilst preserving the gentle temperament. Corinne is a passionate bee advocate and her presentation will draw from personal experience as a Commercial Honeybee Breeder. 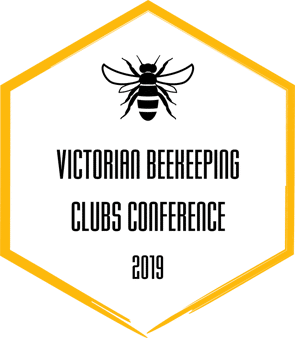 You are invited to join Keynote Conference Speakers to celebrate the 2nd Victorian Beekeeping Clubs Conference on Friday 14th June, 7pm-10pm at Hyatt Place: 1 English St, Essendon Fields. The dinner is shaping up to be an exciting event with guest speaker Alanta Colley. A bumper Conference offering keynote speakers in plenary sessions, as well as three parallel beekeeping streams. Registration and refreshments from 8.00am. Conference commences at 8:30am and concludes at 5pm. Post Conference drinks from 5pm to 7pm.